I missed the "New Born Days" theme at Mommy Moments meme so I am entwining it with the "welcoming new siblings" on this week's theme. 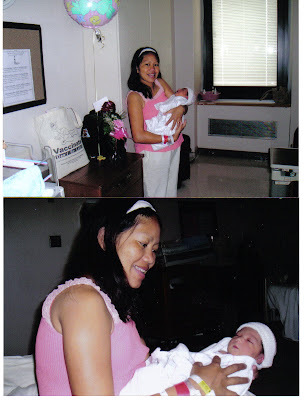 We did not have many photos when I gave birth to Rylie because I had an emergency C-Section. We only had a chance to take pictures when we were getting out of the hospital. The second picture above was taken in front of the Weirton Medical Center. Below were taken at the hospital room. Rylie was only nine months old when I found out that I was pregnant with EJ. I never had a chance to wean Rylie before I gave birth to EJ. So when we brought EJ home, I breastfed both of them for about two weeks then I I was forced to finally weaned Rylie. Rylie was so happy and at the same time jealous of his brother's coming to our family. Most of the time she was loving to him but there were times that she would hurt him hehehe. The key is making the eldest one feel that she is part of taking care of the baby. I always involve Rylie in taking care of EJ like changing diapers and such. It's been almost five years since we welcome these two individuals in our home and since then our home and family are in bliss. I always thank God for giving me two wonderful kids. Those pictures are precious!! Don't they grow so fast??? How funny, my post was about my firstborn being a newborn too!!! so cute, babies are really precious. I can't join Mommy Moments because my pictures were in the Phil. but I still joined Photoflashback, see you then sis. Wow, I remember those days with my daughter. I was just looking at pictures myself! Thanks so much for coming by for my Monday's Method. I look forward to seeing you more. your babies new born photos are so precious.I just love looking at the last two pictures.Rylie is so sweet..
Moms love to view these memorable pics with their newborn. they are so precious talaga! you are very lucky to have them in our life...love those pix! Thank you for sharing your special mommy moments with us. Your babies look so precious and are a gift from God. Hi Rose! Can you do me a favor? 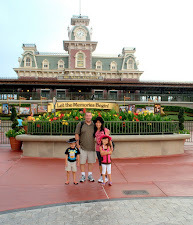 Can you let Arlene @ All About Her that I can't comment on her blog? It's the way her comment box is set up. I don't have a box to type the verification code. I feel bad because this is the 2nd week she participated in Friday Photo Flashback, but I have no way of contacting her. She doesn't have an email where I can write her. superwoman ka pala tokaya. imagine breastfeeding 2 babies. post ko ngayon e noong ipanganak si rj. wala kc syang sibling, ehehe. they are so adorable :-) and indeed grow up so fast! 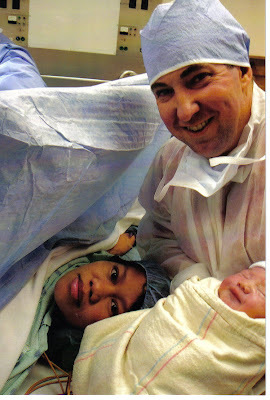 Thanks for the earlier visit :) Wow, those are awesome pictures you have.. Wasnt' that difficult, breastfeeding 2 babies? Parang twins hehe..
Those are precious pictures. Love the last ones, she looks lovingly holding her brother. Happy MM. Oh they are cute kids...Happy MM! Mine is up. Great pictures. I miss the newborn stage, it goes by too fast. 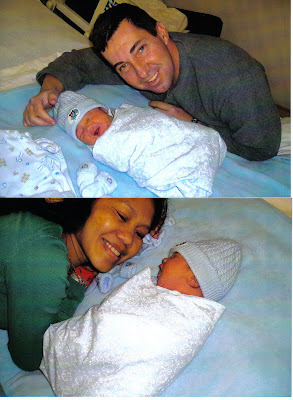 Those pictures are truly so sweet..something about the newborn pictures that always touch your heart. Thanks for sharing. These are rare photos of the advent of both Rylie and EJ in your lives. That you were able to train Rylie to take care of her baby brother and avoid any jealousy problem on her part is testament to the excellent ways you rear and nurture your children. Kasabihan nga, kung anong puno, siyang bunga. They will both grow up to be responsible adults because of the correct ways both you and John are bringing up your children. Thanks for the feel good post. God bless you all always. I loved those newborn days. when my Nathaniel was 6 months old I got pregnant with my Aedan... they are just 15 months apart. 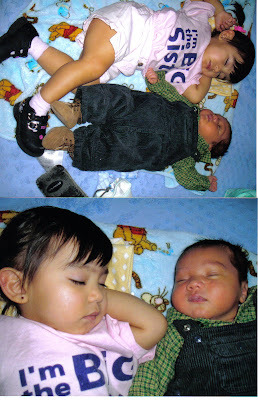 It was so fun having two babies at once... and they share an extra special relationship now. I am impressed that you continued to breastfeed, too. People thought I was NUTS for even trying. Good for you. 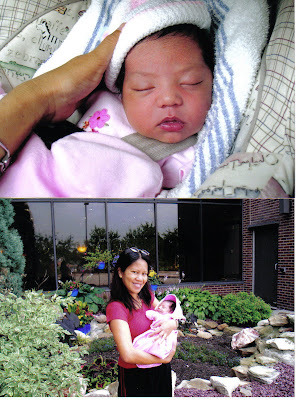 oh.. how precious newborn moments to reminisce.. indeed time flies so fast.. imagine, 5 years na yun? haay.. at sabay mo sila bnreastfeed? ang saya nun! I always loved breastfeeding. nakakawala ng stress..
Just gorgeous...that is all I can say...just gorgeous. oh so sweet naman ni rylie and ej. tama ka ate, the key is to involve the elder one in taking care of the youngest. that way, they will not feel left out. i will be sure to remember this when the time comes for sam to be a big sister. hugs! 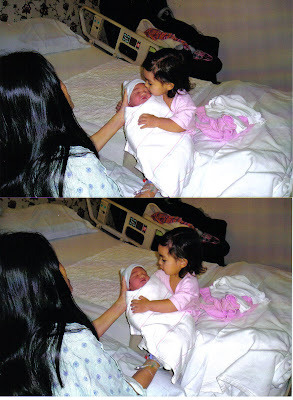 big sister talaga si rylie.. and she's super cute ng baby pa siya, a little chubby pero angat ang ganda! "The key is making the eldest one feel that she is part of taking care of the baby", I'll keep that in mind mommy. Love the photos Mare. Cute2x talaga ng dalawa mong anak. Same din with my family. It's normal to have sibling rivalry at first & as we go on explaining and showing them how much we value each of them. Including and giving them responsibility in taking care of the new baby in turn they learn to adjust, accept & love their baby sister or brother. God Bless you and your family! thanks for sharing! :D looking forward to your post this coming week!